It is important to note that this modality of therapeutic work is collaborative. I am neither a doctor, nor a shaman – but a facilitator of sonic wellness by providing a method of working with acoustic tools, specific overtones and frequencies to assist you in your own process of attaining optimal health. Utilizing an abundance of binaural and harmonic instrumental frequencies in a session, the vagus nerve and parasympathetic nervous system are stimulated while the brain experiences entrainment, becoming synchronized with the overtones being played. As a result, the body’s resonant frequency is transformed, releasing endorphins which positively affect heart-rate variability. In turn, the body experiences a cellular restart, gently “shifting gears” to assist you in maintaining sonic alignment. It can be felt in the energetics of the body, mind, and spirit. Private sessions are customized to address individual areas of concern in the body. Specific frequencies and instrumentation are determined during a detailed pre-session intake and assessment. Please allow time for a post-session integration (approximately 10 minutes). Wearing comfortable clothes, you will be fully resting on a body cushion or thick yoga mat with a pillow and warm cover or blanket. A eye-mask is essential to help induce darkness and a deeper meditative state. You begin connecting to your breath with guided inhalations and exhalations. 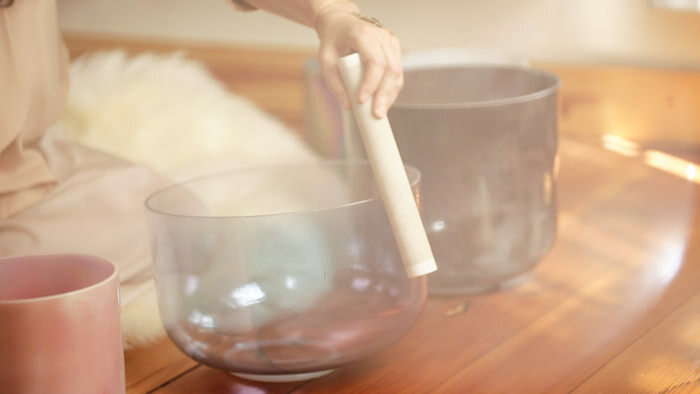 Over the next hour, you are taken on a transformative sonic journey with a multitude of vibratory instruments being played over and around the body to surround and envelope you. Think of the equivalent to receiving a slow massage where only sound is utilized. 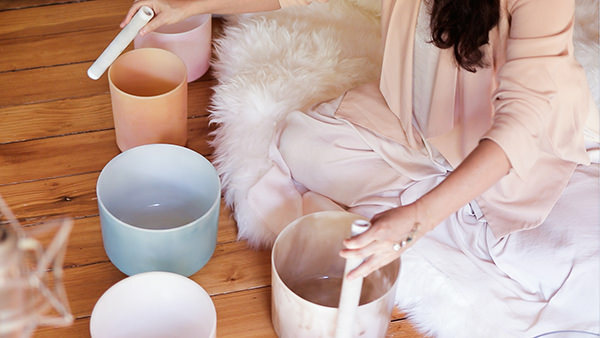 You will gently and gradually be transported to a deeply meditative state. It is in this relaxed form that the body’s parasympathetic nervous system is able to shift or “jump-start” beginning to heal itself at the cellular level. What results is the positive reorganization of many physical and mental states that afflict us. At the end of your session – for the next few hours to follow – it is advised to “be gentle” with yourself to allow the vibratory process to continue working within the cells of the body. Much like a dedicated meditation practice, the effects are varied and cumulative. *Sessions times are reserved especially for you. Kindly make cancellations or re-scheduling of Private or Group Sound Journey sessions 48 hours in advance of the scheduled appointment time. 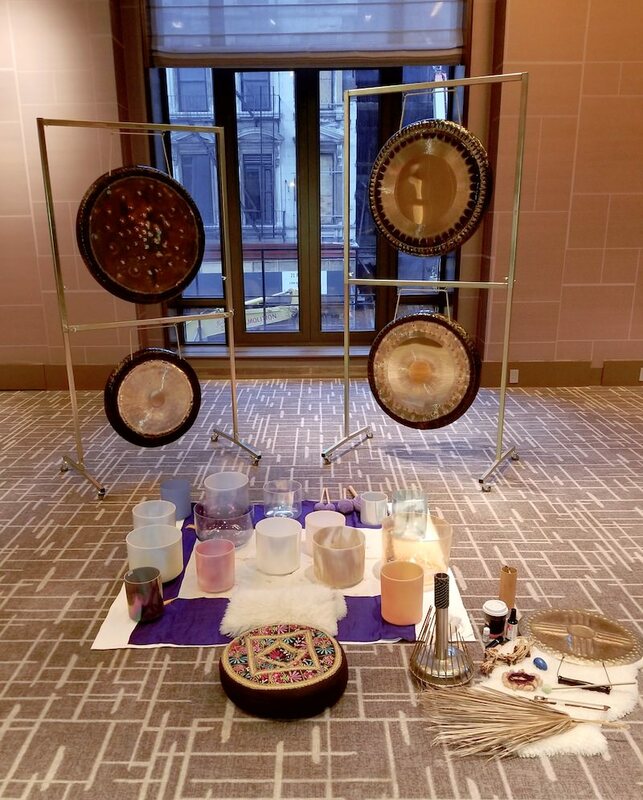 Begin your exploration into self-healing and vibratory alignment with a Sound Journey session.